Just want the music but not the e-book? Spirit Connection includes 3 energizing songs at the beginning, breathing teachings and a short meditation in the middle, and it ends with a guided meditation for manifesting what you want, and a wordless meditative chant to sleep by. 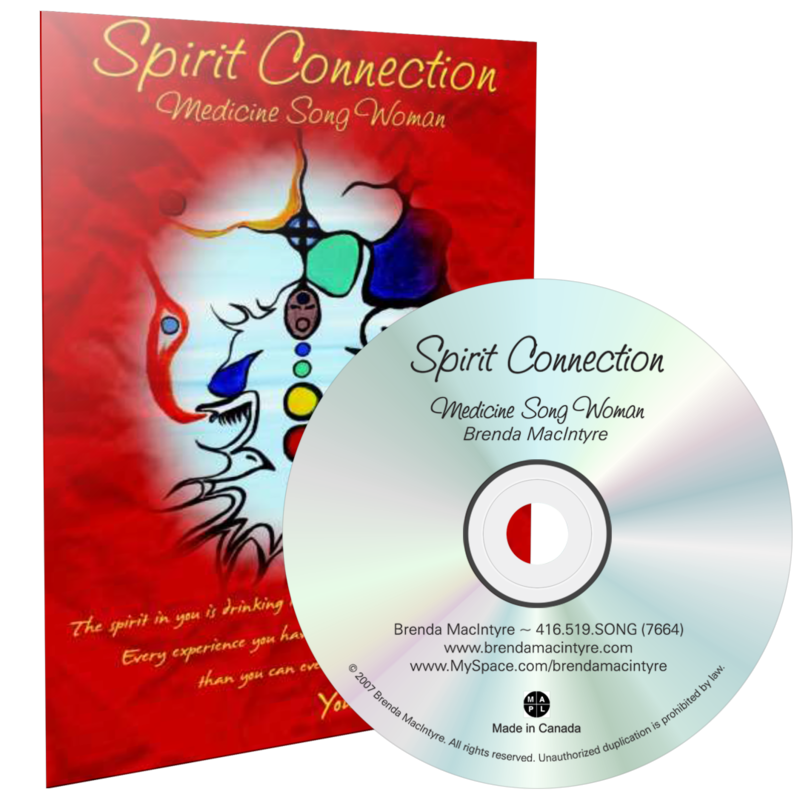 In addition to the Native American drumming and singing tracks, this album and e-book feature spiritual law of attraction teachings, breathing techniques and guided meditations from a recurring vision Brenda MacIntyre had every day for 9 months at the age of 7. You also get indigenous hand drum teachings, and the vocables (lyrics) and spiritual teachings for each song.